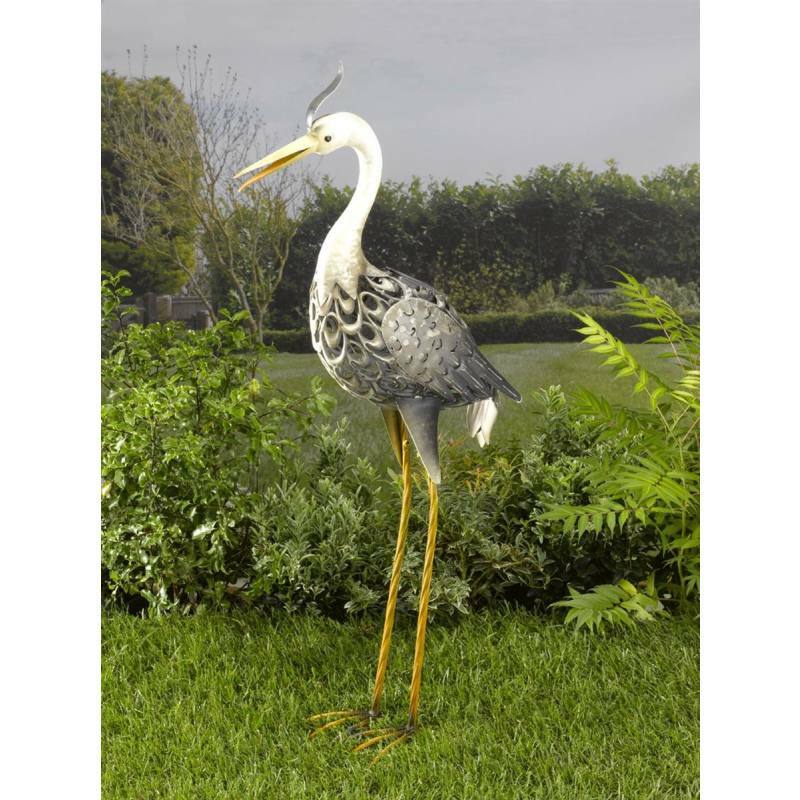 This decorative metal heron figure lights up at night. The recesses in the metalwork create a contoured feather look. Ideal for patios and lawns. Includes hooks for fixing to the ground.